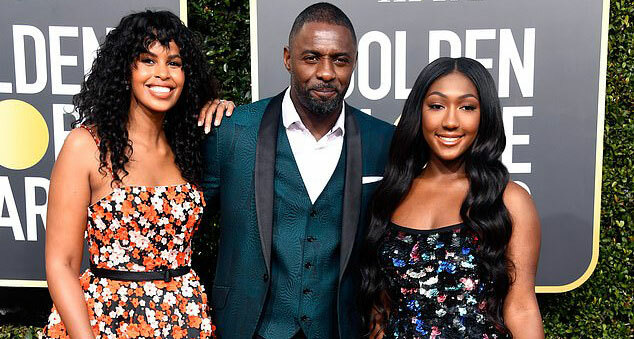 Idris Elba accompanied 16-year-old daughter Isan Elba on the red carpet for tonight’s star-studded ceremony, where she is set to serve as the official Golden Globe Ambassador. The Hollywood Foreign Press Association announced last November that Isan would take on the prestigious role, which was previously known as Miss Golden Globe. Ryan Seacrest caught up with Isan, Idris and his fiancée Sabrina Dhowre before making their way into The Beverly Hilton, and from the looks of their practically identical smiles, the Elba family will never forget this moment. But for now, the Elba fam is letting Isan steal the spotlight tonight. As part of her role, Isan partnered with the Boris Lawrence Henson Foundation, which Taraji P. Henson founded last year in honor of her late father who suffered from mental illness. HFPA president Meher Tatna previously announced a $50,000 donation on behalf of Isan to BLHF.